The last decade has seen a striking rise in Russian cases before the European Court of Human Rights. The influence of its case-law can be seen in all areas of Russian life, becoming a reality on the ground, a genuine impulse for change. Russia, the Court`s biggest `client`, has also played its part in the major development of the Convention system. Judge Anatoly Kovler has left his mark on this important period for the Convention and for Russia. Beyond his judicial achievements, which are illustrated by hundreds of judgments, he has become a key figure in the dialogue between the Court and the national authorities, thus acting as a bridge between two different environments. These theoretical and practical essays are published in his honour by his colleagues and friends. The Russian perspective is presented notably by Valery Zorkin, President of the Constitutional Court, and Tatiana Neshatayeva, former Judge at the Supreme Commercial Court. The decade of change from the Court’s viewpoint is highlighted by, among others, its President Dean Spielmann, former Section President Nina Vajic, Deputy Registrar Michael O`Boyle, and former Registrar and Jurisconsult Michele de Salvia. A personal testimonial by the former President of the Court, Jean-Paul Costa, enriches this book along with Professor Frédéric Sudre’s insight into Judge Kovler’s separate opinions. Yesterday, the Council of Europe's Parliamentary Assembly (PACE) elected Jon Fridrik Kjølbro to become the new judge at the Court in respect of Denmark. Kjølbro's term will last nine years and will start within three months from now. He will succeed Peer Lorenzen, a longtime judge at the court since its reform into a fulltime Court in 1998 and before that for several years a member of the former European Commission of Human Rights. Kjølbro was elected from the list of three candidates submitted by Denmark and was elected by a large majority, obtaining more votes than the other two candidates combined. 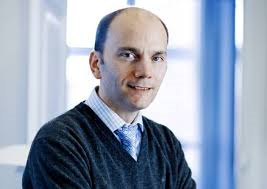 Jon Fridrik Kjølbro is currently a high court judge at the Eastern High Court in Copenhagen and previously worked at the Danish Ministry of Justice, where he - amongst other functions - served as the head of the human rights office. He is also part time vice-chairman of the Refuge Board which deals with asylum cases. The new judge thus has solid experience both in the executive and judicial branches of government. His curriculum vitae, as well as a description of Denmark's open application process for the position, can be found here. The European Convention on Human Rights has been a standard-setting text for transitions to peace and democracy in states throughout Europe. 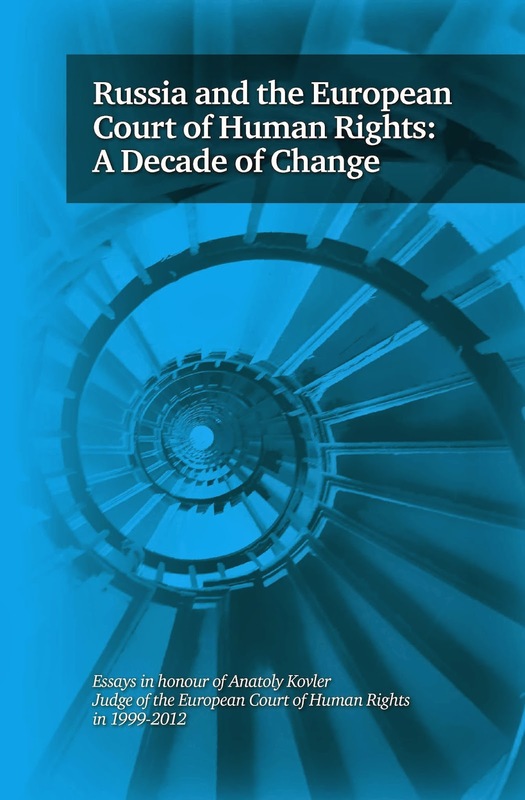 This book analyses the content, role and effects of the jurisprudence of the European Court relating to societies in transition. It features a wide range of transitional challenges, from killings by security forces in Northern Ireland to property restitution in East Central Europe, and from political upheaval in the Balkans to the position of religious minorities and Roma. 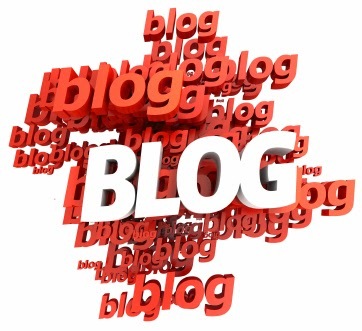 Has the European Court developed a specific transitional jurisprudence? How do politics affect the ways in which the Court's judgments are implemented? Does the Court's case-law itself become woven into narratives of struggle in transitional societies? 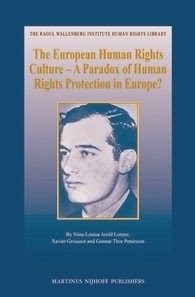 This book seeks to answer these questions by highlighting the unique role of Europe's main guardian of human rights, the Court in Strasbourg. It includes a comparison with the Inter-American and African human rights systems. Includes a comparison with the African and Inter-American human rights systems, enabling an understanding of both the unique features of the ECHR on this topic as well as experiences gained in other regions of the world. Eight hundred million Europeans' fundamental rights and liberties are supposed to be safeguarded by the European Court of Human Rights. It is an institution steeped in European idealism and ambition, but does it work? 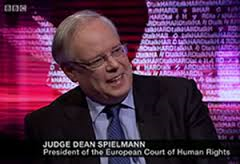 HARDtalk speaks to the President of the Strasbourg based Court, Dean Spielmann. Critics condemn it as an undemocratic, unaccountable infringement on national sovereignty; do they have a case? The obligation for the European Union to accede to the European Convention of Human Rights (ECHR) opens a window of opportunities for the recognition of fundamental social rights in the European Union. The prospects of the accession for strengthening workers’ rights have been examined in a comprehensive study which has been pushed by the Transnational Trade Union Rights Expert Network. It focuses on the ECHR provisions and the Strasbourg case law which is relevant to strengthen workers’ protection, inter alia through safeguarding civil and political rights at work. The Dialogue between the European Court for Human Rights and other European judicial or quasi-judicial bodies is at the heart of this publication. It also focuses on the tribute paid by the Strasbourg Court to international instruments. The Colloquy seeks to present the outcome of the research project by some of the authors of the book (with the same title as the colloquy, see my earlier post here) and to allow for a critical debate with other European academics who are renowned social rights and human rights scholars. We are pleased that some of the judges (still in office or honorary judges) of the European Court for Human Rights, present and former members of the European Committee for social rights and a member of the ILO Expert Committee for the application of Conventions and Recommendations have accepted to participate to this Conference. The recent judgment of the Grand Chamber of the European Court of Human Rights (‘the ECtHR’ or ‘the Court’) in Vinter and Others reflects a very significant change in the Court's attitude to those actions of the states parties to the European Convention for the Protection of Human Rights and Fundamental Freedoms (‘the Convention’ or ‘the ECHR’) that consist in the imposition and further execution of whole life sentences. In this judgment, the Court concluded that Article 3 of the Convention – which prohibits torture, inhuman or degrading punishment – requires the reducibility of all whole life sentences as imposed by national courts, in the sense of a review mechanism which allows domestic authorities to conclude whether in the course of a life sentence the legitimate peno-logical grounds justifying the further incarceration of a life prisoner still exist. Moreover, such a mechanism or possibility for review of a whole life sentence must be provided for by a national law and, consequently, must be known to a life prisoner already at the moment of imposition of the whole life sentence. What is also important, a life prisoner, at the outset of his/her sentence, must know when (i.e. after how many years) and under what conditions a review of his/her sentence will take place or may be sought, and what he/she must do to be considered for release. Otherwise, the very imposition of a life sentence by a national court infringes Article 3 of the Convention. The concept of vulnerable groups is gaining momentum in the case law of the European Court of Human Rights. The Court has so far used it in cases concerning Roma, people with mental disabilities, people living with HIV, and asylum seekers. Yet the appearance of the vulnerable-group concept in the Court’s legal reasoning has so far escaped scholarly attention. Drawing on theoretical debates on vulnerability as well as on the Court’s case law, this article offers a critical assessment of the concept. Reasoning in terms of vulnerable groups opens a number of possibilities, most notably, the opportunity to move closer to a more robust idea of equality. However, the concept also has some inherent difficulties. This article argues for a reflective use of the concept and points out ways in which the Court can avoid its pitfalls. 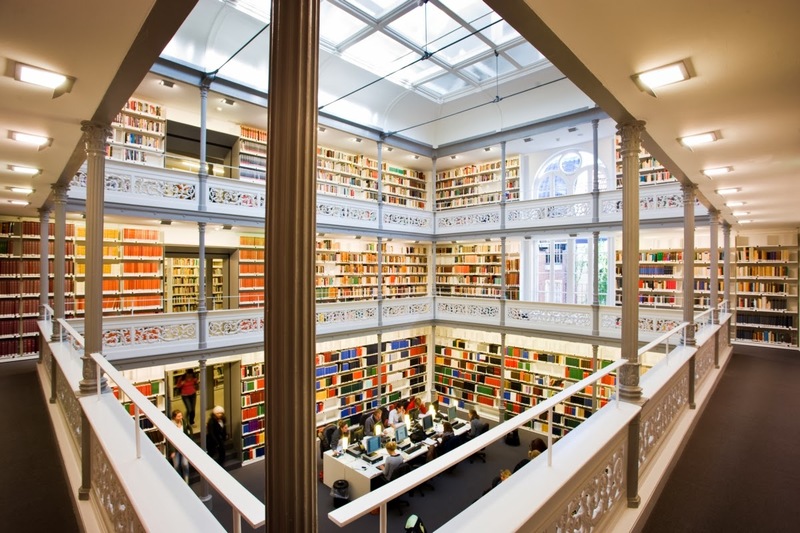 PS: The photo depicts Utrecht University's beautiful and recently renovated inner city library, which includes the human rights law collection. Please find an overview below of recent ECHR-related Council of Europe reports and online coments on other blogs relatign to the ECHR, for your convenience. The first is a report adopted by the Legal Affairs Committee of the Parliamentary Assembly of the Council of Europe. It chastises those states that have ignored or failed to implement the European Court's interim requests. It also calls upon the Court to be as precise as possible in indficating interim measures and also to explore the possibility of damages in cases of violations of interim measures. The report is entitled 'Urgent need to deal with new failures to cooperatie with the European Court of Human Rights'. The press release of the Council of Europe on this can be found here. * Rosalind English, ‘Court of Appeal calls on Supreme Court to resolve conflict between UK and Strasbourg law’ on UK Human Rights Blog. * Adam Wagner, ‘Don’t mess up your European Court of Human Rights application… a new rule’ on UK Human Rights Blog. * Stijn Smet, ‘ECtHR Rules that Police Officers Can Slap Suspects in the Face Without Contravening Article 3 ECHR: Bouyid v. Belgium’ on Strasbourg Observers. * Georgios Milios, ‘The application of the European Convention on Human Rights to the case of Leonarda Dibrani’ on Strasbourg Observers. * Erica Howard, ‘Banning Niqabs in Public Spaces’, on EJIL Talk! * Marko Milanovic, ‘Hassan v. United Kingdom, IHL and IHRL, and Other News in (Extra-)Territoriality and Shared Responsibility’ on EJIL Talk! The European Human Rights Culture – A Paradox of Human Rights Protection in Europe? analyses the political term “European Human Rights Culture”, a term first introduced by EU Commission President Barroso. 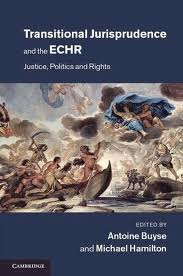 Located in the fields of comparative law and European law, this book analyses, through first-hand interviews with the European judiciary, the judicial perspective on the European human rights culture and sets this in context to the political dimension of the term. In addition, it looks at the structures and procedures of the Court of Justice of the European Union (CJEU) and the European Court of Human Rights (ECtHR), and explains the embedding of the Courts’ legal cultures. It offers an in-depth analysis of the margin of appreciation doctrine at both the CJEU and ECtHR, and shows its value for addressing human rights grievances. This book is novel in that it combines interviews and case-law analysis to show how a mix of differences on the bench are legally amalgamated to resolve probing legal questions and human rights issues. It shows, through a combined analysis of case-law and recent political developments for European human rights, the tensions between judicial and political approaches and the paradox of human rights protection in Europe. It also offers in-depth knowledge of the European human rights discourse. In addition to a rich study of legal materials, the book looks inside the box by adding the judiciary’s perspective. Human rights are widely acknowledged in European societies and cases claiming human rights violations are increasing at both the CJEU and ECtHR. In these times of increased human rights awareness, this book uncovers a paradox in European human rights protection which is created by the push-and-pull between judicial and political interests. On 17 December 2013 the European Court of Human Rights ruled by five votes to two that Switzerland violated the right to freedom of expression by convicting Doğu Perinçek, chairman of the Turkish Workers’ Party, for publicly denying the existence of the genocide against the Armenian people. On several occasions, Perinçek had described the Armenian genocide as “an international lie”. The Swiss courts found Perinçek guilty of racial discrimination within the meaning of Article 261bis of the Swiss Criminal Code. This article punishes inter alia the denial, gross minimisation or attempt of justification of a genocide or crimes against humanity, publicly expressed with the aim of lowering or discriminating against a person or a group of persons by reference to race, ethnic background or religion in a way that affects the human dignity of the person or group of persons concerned. 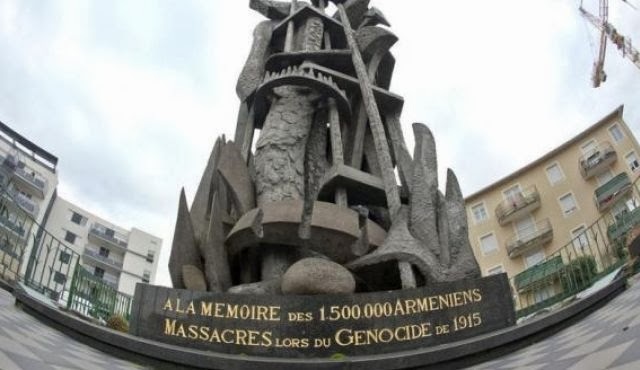 According to the Swiss courts, the Armenian genocide, like the Jewish genocide, was a proven historical fact, recognised by the Swiss Parliament. They found that Perinçek’s motives denying that the Ottoman Empire had perpetrated the crime of genocide against the Armenian people in 1915 and the following years, were of a racist tendency and did not contribute to the historical debate. Relying on Article 10 of the European Convention, Perinçek complained before the Strasbourg Court that the Swiss authorities had breached his freedom of expression. In an impressive judgment of 80 pages, only available in French for the moment, the Court elaborates the issue profoundly. The judgment also contains in annex, on 18 pages, a firm and extensively documented dissenting opinion by two judges. “(..) la limite tolérable pour que des propos puissent tomber sous l’article 17 réside dans la question de savoir si un discours a pour but d’inciter à la haine ou à la violence. La Cour estime que le rejet de la qualification juridique des événements de 1915 n’était pas de nature en lui-même à inciter à la haine contre le peuple arménien. De toute façon, l’intéressé n’a été ni poursuivi ni puni pour incitation à la haine, qui est une infraction distincte en vertu de l’alinéa premier de l’article 261bis du code penal. Il n’apparait pas non plus que le requérant ait exprimé du mépris à l’égard des victimes des événements en cause. Dès lors, la Cour estime que le requérant n’a pas usurpé son droit de débattre ouvertement des questions, même sensibles et susceptibles de déplaire. L’exercice libre de ce droit est l’un des aspects fondamentaux de la liberté d’expression et distingue une société démocratique, tolérante et pluraliste d’un régime totalitaire ou dictatorial” (§ 52). “(..) on ne saurait prétendre que le requérant ait utilisé le droit à la liberté d’expression à des fins contraires à la lettre et à l’esprit de la Convention et, dès lors, détourné l’article 10 de sa vocation. Il n’y a donc pas lieu d’appliquer l’article 17 de la Convention” (§ 54). Next, from the perspective of Article 10 of the Convention, the Court agreed with the Swiss courts that Perinçek could not have been unaware that by describing the Armenian genocide as an “international lie”, he was exposing himself on Swiss territory to a criminal sanction “prescribed by law”. The Court also found that the aim of the application of Article 261bis of the Swiss Criminal Code was to protect the rights of others, namely the honour of the relatives of victims of the atrocities perpetrated by the Ottoman Empire against the Armenian people from 1915 onwards. “le principe (..) selon lequel l’article 10 protège également les informations ou idées susceptibles de heurter, choquer ou inquiéter vaut également lorsqu’il s’agit, comme en l’espèce, du débat historique, ‘dans un domaine où la certitude est improbable’” (§ 102). “Partant, la Cour estime que le discours du requérant était de nature à la fois historique, juridique et politique. Compte tenu de ce qui précède et notamment de l’intérêt public que revêt le discours du requérant, la Cour estime que la marge d’appréciation des autorités internes était réduite” (§ 112-113). “En tout état de cause, il est même douteux qu’il puisse y avoir un « consensus général », en particulier scientifique, sur des événements tels que ceux qui sont en cause ici, étant donné que la recherche historique est par définition controversée et discutable et ne se prête guère à des conclusions définitives ou à des vérités objectives et absolues” (§ 117). In this connection, the Court clearly distinguished the present case from those concerning the negation of the crimes of the Holocaust, committed by the Nazi regime. In the cases of convictions for Holocaust denial the applicants had denied the historical facts even though they were sometimes very concrete, such as the existence of the gas chambers. They had denied the crimes perpetrated by the Nazi regime for which there had been a clear legal basis. Lastly, the acts that they had called into question had been found by an international court to be clearly established. “Par ailleurs, elle partage l’avis du gouvernement turc selon lequel la négation de l’Holocauste est aujourd’hui le moteur principal de l’antisémitisme. En effet, elle estime qu’il s’agit d’un phénomène qui est encore d’actualité et contre lequel la communauté internationale doit faire preuve de fermeté et de vigilance. On ne saurait affirmer que le rejet de la qualification juridique de « génocide » pour les événements tragiques intervenus en 1915 et dans les années suivantes puisse avoir les mêmes répercussions” (§ 119). From a comparative perspective, analysing the legislation in 14 countries in Europe, it is also emphasised that Switzerland is the only country that has incriminated the denial of the Armenian genocide, while only Spain and Luxembourg have not limited their genocide denial legislation to the Holocaust. The Court observes that “(t)ous les autres États n’ont apparemment pas ressenti un «besoin social impérieux» de prévoir une telle législation” (§ 120). “Elle estime que la décision du Conseil constitutionnel montre parfaitement qu’il n’y a à priori pas de contradiction entre la reconnaissance officielle de certains événements comme le génocide, d’une part, et l’inconstitutionnalité des sanctions pénales pour des personnes mettant en cause le point de vue officiel, d’autre part. Les États qui ont reconnu le génocide arménien – pour la grande majorité d’entre eux par le biais de leurs parlements – n’ont par ailleurs pas jugé nécessaire d’adopter des lois prévoyant une répression pénale, conscients que l’un des buts principaux de la liberté d’expression est de protéger les points de vue minoritaires, susceptibles d’animer le débat sur des questions d’intérêt général qui ne sont pas entièrement établies” (§ 123). The European Court finally referred to the General Comment nr. 34 of the United Nations Human Rights Committee on Article 19 UN Covenant on Civil and Political Rights, stating that “(l)aws that penalize the expression of opinions about historical facts are incompatible with the obligations that the Covenant imposes on States parties in relation to the respect for freedom of opinion and expression. The Covenant does not permit general prohibition of expressions of an erroneous opinion or an incorrect interpretation of past events". “Les instances internes n’ont pas démontré en particulier que la condamnation du requérant répondait à un « besoin social impérieux » ni qu’elle était nécessaire, dans une société démocratique, pour la protection de l’honneur et les sentiments des descendants des victimes des atrocités qui remontent aux années 1915 et suivantes. Les instances internes ont donc dépassé la marge d’appréciation réduite dont elles jouissaient dans le cas d’espèce, qui s’inscrit dans un débat revêtant un intérêt public certain” (§ 129). The Court considered the criminal conviction of Perinçek for denying that the atrocities perpetrated against the Armenian people in 1915 and onwards constituted genocide was unjustified. Accordingly there had been a violation of Article 10. The refusal by the European Court to consider Perinçek’s statements as “abusive speech” under Article 17 of the Convention reflects legitimate concerns about the inherent dangers applying the so-called abuse clause in cases of freedom of political expression and debate on matters of public interest. It is indeed preferable that the application of Article 17 in freedom of expression cases remains very exceptional, as “une mesure que la Cour n’a que très rarement appliquée” (§ 47). By only accepting, eventually, the implementation of Article 17 in cases of incitement to hatred or violence, aimed at the destruction of the rights of others and disrespecting the text and spirit of the Convention, the Court prevents a too broad application of Article 17. One can even argue that applying the abuse clause to resolve free speech disputes is undesirable in all circumstances (see H. Cannie en D. Voorhoof, “The Abuse Clause and Freedom of Expression in the European Human Rights Convention : an Added Value for Democracy and Human Rights Protection?” NQHR Vol. 29/1, 54-83, 2011), but the European Court clearly does not share that approach, yet. Furthermore, the European Court rightly pointed out that this case is not about the legal, historical or political recognition of the existence of the Armenian “genocide”, but only about the necessity of the criminal conviction of Perinçek by the Swiss authorities because of the content of some speeches Perinçek held in Switzerland arguing that the massacres and deportations of Armenian people nearly 100 years ago did not deserve the qualification as genocide. It is certainly not up to the European Court to give an opinion on or to decide itself on this issue : “La Cour rappelle par ailleurs que, si la recherche de la vérité historique fait partie intégrante de la liberté d’expression, il ne lui revient pas d’arbitrer des questions historiques qui relèvent d’un débat toujours en cours entre historiens” (§ 99). The Court emphasises that it is not dealing with the underlying facts nor the legal qualification of them as a “genocide”, as the Court “n’est amenée à se prononcer ni sur la matérialité des massacres et déportations subies par le peuple arménien aux mains de l’Empire ottoman à partir de 1915, ni sur l’opportunité de qualifier juridiquement ces faits de « génocide », au sens de l’article l’art. 261bis, alinéa 4, du code penal” (§ 111). The essence of the message of this judgment is indeed that the legal, political and historical discussion about facts situated in history should be open and that all opinions discussing or interpreting these facts, including provocative, offensive or disrespectful opinions, should be protected by Article 10 of the Convention. The denial of historical facts or the discussion about their legal or political qualification should never, as such, be considered as a criminal offence, unless the statements or expressions also incite to hatred, discrimination or violence. The European Court at a certain moment (§§ 114-116) gives the impression that it is because of the lack of a general consensus in European and in the international community about whether the massacres and deportations in Armenia in 1915 and the years after constituted a genocide, that the denial by Perinçek of the existence of the Armenian genocide was acceptable. The Court however seems to be aware that accepting such an approach would risk to install by law historical truths, based on general consensus, which cannot be denied, or critically and vehemently discussed. Therefore the Court clarifies that it is doubtful anyhow whether on such issues there can be ever a general consensus : “En tout état de cause, il est même douteux qu’il puisse y avoir un « consensus général », en particulier scientifique, sur des événements tels que ceux qui sont en cause ici, étant donné que la recherche historique est par définition controversée et discutable et ne se prête guère à des conclusions définitives ou à des vérités objectives et absolues ” (§ 117). The Court accepts nevertheless one exception, and that is the criminalisation of denial of the Holocaust (§ 118), as, according to the Court, there is general consensus about the Holocaust. Still, accepting that as such the denial of the Holocaust is a justifiable restriction on freedom of expression, contrasts with the approach expressed by the UN HRC in its General Comment nr. 34. In this Comment, interpreting the actual scope, impact and application of the right to freedom of opinion and expression under 19 Article ICCPR, the HRC opposed explicitly against “memory-laws”, emphasising that Article 19 ICCPR “does not permit general prohibition of expressions of an erroneous opinion or an incorrect interpretation of past events." (§ 49). The European Court, although it referred to and even quoted from the General Comment nr. 34, missed the opportunity to elaborate on this approach. It would indeed have been preferable if the Court had made clear that the criminal prosecution and conviction for denial of historical facts, also of those on which there is general consensus, such as the Holocaust, is only justified from the perspective of Article 10 in so far as the denial of those facts at the same time intentionally incites to hatred, discrimination or violence against a person or a group of persons. In this case however, the European Court did not need to take that additional step, which would also imply that it distanced itself from its former jurisprudence finding that criminal convictions and other sanctions for denial of the Holocaust did not amount to a violation of Article 10, even in cases in which there was no clear incitement to hatred, discrimination or violence, such as in the case of Bruno Gollnisch v. France (Decision ECtHR 7 June 2011, Appl. Nr. 48135/08). In that case Gollnisch was dismissed from university because in his texts and lectures he had claimed the right as a historian to question and discuss the “official truth” about the Holocaust. The European Court however considered Gollnisch’s complaint under Article 10 ECHR inadmissible. The threshold that the European Court invokes in its judgment of 17 December 2013 with regard to the application of Article 17 ECHR, that in discussions about (dramatic and traumatic) historical facts there is only an abuse of the right to freedom of expression when it concerns incitement to hatred or violence, should indeed be unrelated to whether there is general consensus or not about these historical facts. What can be criminalised from the perspective of Article 10 is incitement to hatred and violence, while the contestation or denial itself of historical facts, based on a (construed) general consensus should not, and should never be, defined as a criminal offence with the justification that such an interference with the right to freedom of expression is necessary in a democratic society. Finally, it is not surprising that the judgment on the controversial issue related to the (denial of the) Armenian genocide is not delivered with unanimity. Judges Sajó (Hungary) and the president of the Chamber, Raimondi (Italy) expressed a joint concurring opinion, in which they additionally explain, justify or clarify some of the legal arguments and considerations by the Second Section’s majority in this case, finding a violation of Article 10 of the Convention. Judges Vučinić (Montenegro) and Pinto de Albuquerque (Portugal) expressed a joint partly dissenting opinion in which they argue that the conviction of Perinçek did not amount to a violation of Article 10 of the Convention : “Quoi qu’il en soit, après mûre réflexion, nous sommes parvenus à la conclusion qu’il n’y avait pas eu violation de l’article 10 dans cette affaire”. The judgment will become final on 17 March 2014, unless the case is referred to the Grand Chamber under Article 43 of the Convention. In some statements or preliminary reactions commenting on the Court’s judgment in Perinçek v. Switzerland, it is argued why the Swiss Government should request such a referral in order to find Perinçek’s conviction necessary in a democratic society. We sincerely doubt if a judgment by the Grand Chamber could ever lead to such an outcome in this case. And if it would, it would certainly be a sad day for freedom of expression in Europe. * An impressive electronic volume has been compiled by Tarlach McGonagle, based on the work of Dirk Voorhoof, entitled 'Freedom of Expression, the Media and Journalists: Case-law of the European Court of Human Rights'. It offers - open access - a structured and extensive overview of virtually all the relevant case-law on the issue. Without occasioning much comment, the European Court of Human Rights is increasingly relying on vulnerability reasoning. This chapter analyses that development. First it discusses the concept of vulnerability and its relationship to human rights on a theoretical level, particularly drawing on the work of Martha Fineman. Through an emphasis on universal vulnerability, Fineman’s work invites a reimagining of the human of human rights law. This chapter then examines and critiques how the Court conceives of vulnerability: it charts who are vulnerable according to the Court, and why. The ability of vulnerability, the chapter argues, is that it allows the Court to prioritize between different claims. Vulnerability reasoning likewise enables the Court to extend certain positive obligations. Vulnerability considerations are thus at the frontlines of the Strasbourg case law. However, as a social institution the Court is also vulnerable in and of itself. This is a reality that the ECtHR will have to take seriously in order to endure as a supranational human rights court. The Court’s legal reasoning about vulnerability, and the revolutionary potential of that reasoning, is therefore ultimately limited by the Court’s own vulnerability. * Anthony Cullen & Steven Wheatley, ‘The Human Rights of Individuals in De Facto Regimes under the European Convention on Human Rights’. * John Ip, ‘The Reform of Counterterrorism Stop and Search after Gillan v United Kingdom’. * Martin Kuijer, 'The Right to a Fair Trial and the Council of Europe’s Efforts to Ensure Effective Remedies on a Domestic Level for Excessively Lengthy Proceedings '. * Andrew Williams, 'The European Convention on Human Rights, the EU and the UK: Confronting a Heresy'. * Stelios Andreadakis, 'The European Convention on Human Rights, the EU and the UK: Confronting a Heresy: A Reply to Andrew Williams'. * Dragan Gulobovic, ‘Freedom of association in the case law of the European Court of Human Rights’. * Vasiliki Kosta, Nikos Skoutaris & Vassilis P. Tzevelekos, ‘Introduction : the Accession of the European Union to the European Convention on Human Rights Introduction : l’adhésion de l’Union européenne à la Convention européenne des droits de l’homme’. * Aida Torres Pérez, ‘Too many voices ? The prior involvement of the Court of Justice of the European Union / Trop de voix ? L’intervention préliminaire de la Cour de justice de l’Union européenne’. * Olivier De Schutter, ‘The Two Lives of Bosphorus : Redefining the Relationships between the European Court of Human Rights and the Parties to the Convention / Les deux vies de Bosphorus : la redéfinition des rapports entre la Cour européenne des droits de l’homme et les Parties à la Convention’. * Monica Claes & Šejla Imamović, ‘Caught in the Middle or Leading the Way ? National Courts in the New European Fundamental Rights Landscape / Entre deux feux ou ouvrant la voie ? Les juridictions nationales dans le nouveau paysage européen des droits fondamentaux’. * Arman Sarvarian, ‘The Attribution of Conduct in the Law of International Reponsibility, the European Union and the Jurisprudence of the European Court of Human Rights / L’attribution de comportement dans le droit de la responsabilité internationale, l’Union européenne et la jurisprudence de la Cour européenne des droits de l’homme’.